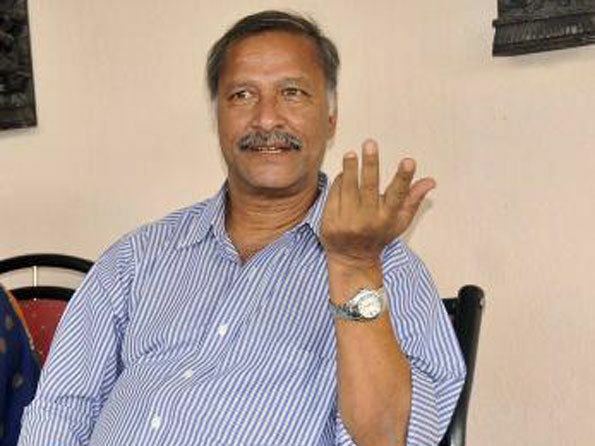 Shivlal Nandlal Yadav pronunciation (born 26 January 1957, Hyderabad, Telangana) is a former Indian cricketer who played in 35 Tests and 7 ODIs from 1979 to 1987. A right arm offbreak bowler, he made his Test debut in 1979 during a rebuilding stage in Indian cricket with their spin quartet breaking up. His debut series, against Australia, was a success with 24 wickets in the five Tests and he did enough to force Srinivasaraghavan Venkataraghavan out of the side. He played regularly for India until 1987, forming a new spin trio with Shastri and Doshi. He made an impressive start by taking 7 wickets on his debut Test against Australia at Bangalore in 1979. He played a key role in Indias win against Australia in the very next Test match he played. He got rid of three batsmen - Allan Border, Dav Whatmore and Kevin Wright in quick succession in the fourth innings ensuring a comfortable win for India. Australia required 279 runs to win but ended up being all out for just 125. He ended up with 4 wickets in that innings and 6 wickets in that Test. He lost his place in the side briefly in a period in the early 1980s but returned successfully against the touring West Indian side in 1983-84 where he took 5 wickets for 131 runs in the first innings of the 4th Test at Bombay. Against Australia in 1985-86 he picked up 15 wickets in the 3 Test series. This haul included career best match figures of 8/118 in the Test at Sydney. His best innings figures came against Sri Lanka at Nagpur with 5/76. He brought up his 100th Test wicket in his penultimate Test, against Pakistan. Recently, Supreme Court of India has named Shivlal Yadav as a national manager, which will look on the work of BCCI other than IPL-7. This is on temporary basis.